Died: March 25, 1930 in Bourne Ma. at 67 yrs, 8 mos, 30 d.
1. 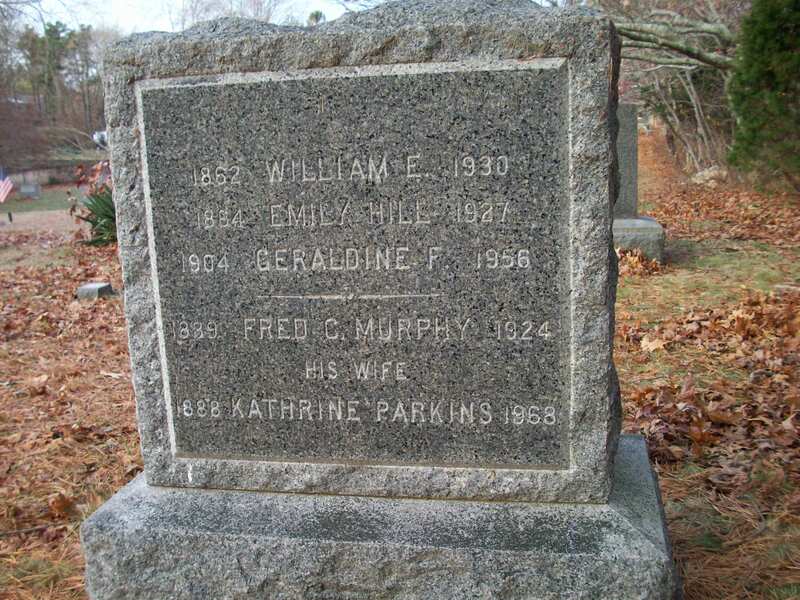 Kathrine Helen Parkins Murphy; (July 29, 1888 – 1968); Married Fred Caldwell Murphy (1889 – 1924) (Harry Weeks Murphy & Annie Lucretia Caldwell) in Bourne Ma. 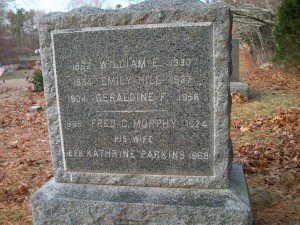 on October 12, 1922; Kathrine & Fred are buried in Pocasset Cemetery. 2. Geraldine Frances Parkins; (March 7, 1904 – June 3, 1956); Geraldine died in Bourne Ma. at 52 yrs, 2 mos, 26 d. & is buried with her parents in Pocasset Cemetery.